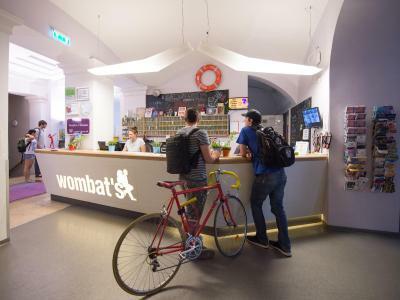 Lock in a great price for Wombats CITY Hostel Budapest – rated 8.5 by recent guests! The location is amazing, pretty close to the main attractions. The room and bathroom are great, big, and very clean. Awesome folks working at front desk. Room was great, location is perfect. 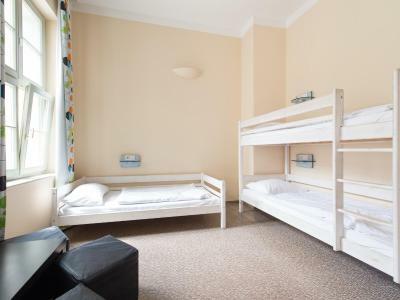 Location of the hostel is perfect.It is very near to all sightseeings and metro station and also airport bus station.The staff is really sincere and friendly.It is clean enough.It has a very enjoyable atmosphere. 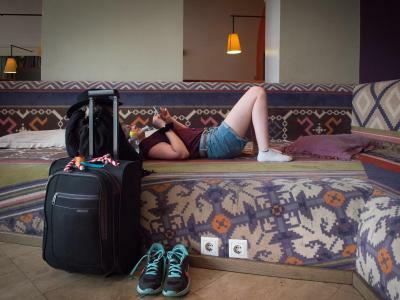 I stayed in the hostel for several times throughout the years. The location is good, near gojdu galleries, full of young people. The staff always had the intention to help and gave me good recommendations. The place is accessible to all the tourists attractions and near to the ruin bars. It has very good location, awesome stuff and warm atmosphere. Worm greetings and events organized by hostel staff. 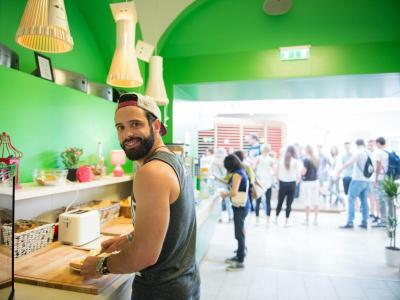 Location is perfect, clean and comfortable, everyone is so helpful... on the first floor you can have fun and enjoy with fer games. 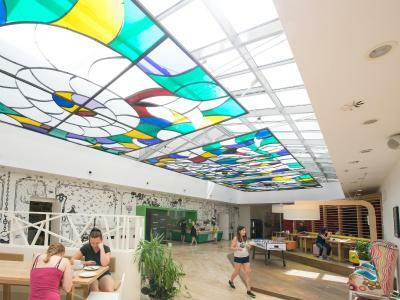 Perfect hostel! Fantastic location! 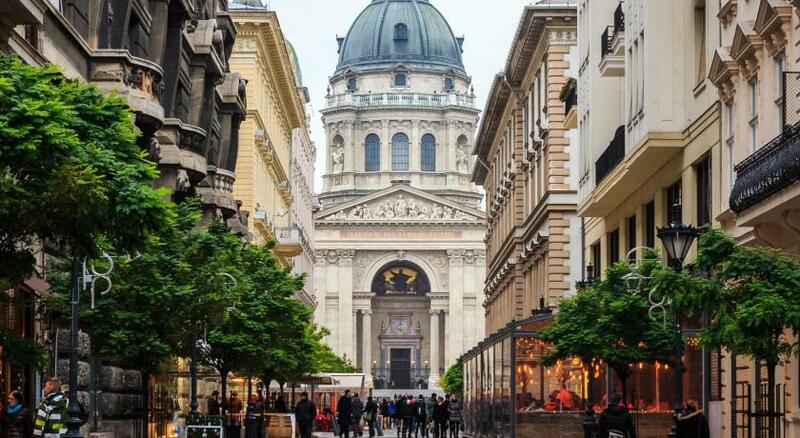 Accessible to a lot of bars, restaurants and shops. 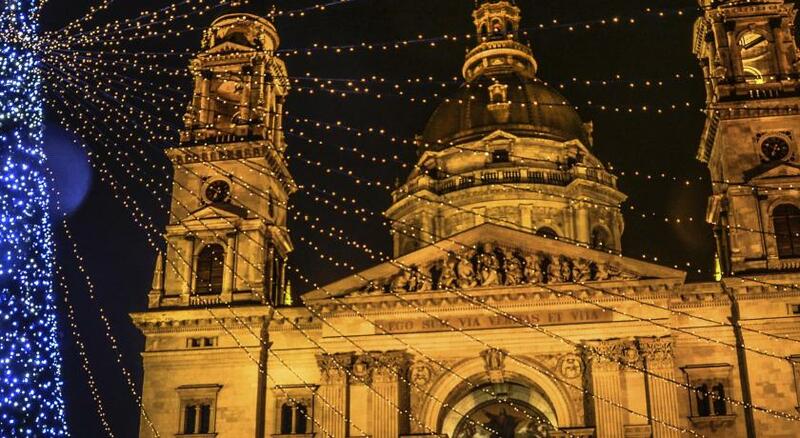 Walking distance to Fashion street, St Stephen's Cathedral and Elizabeth Square. Staff is amazing, very helpful and available 24/7. Love the PubCrawl peeps here! :). The walking tours are pretty good as well. 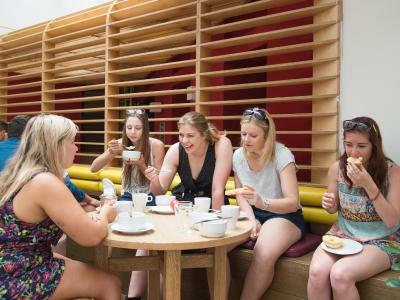 Buffet breakfast and facilities are great value for the money. Don't hesitate to book here! 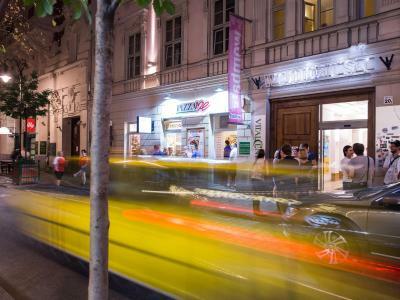 In central Budapest, just across from the bustling Gozsdu Udvar with several cafes, bars and resturants, Wombats City Hostel Budapest offers a bar, vending machines and air conditioning. 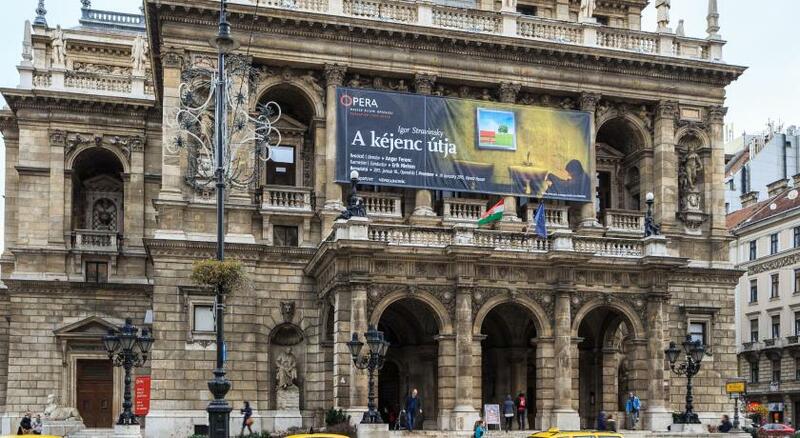 Deák Ferenc Tér, where three metro lines and several bus and tram lines meet, is within 950 feet of the property. 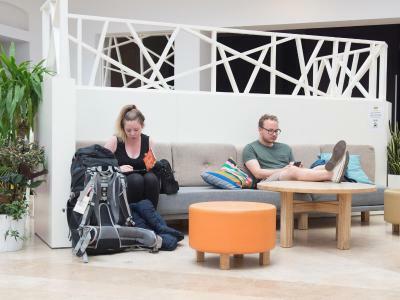 Free Wi-Fi is provided in public areas. 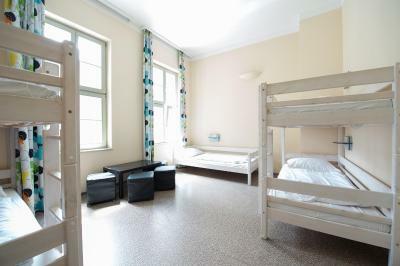 There are rooms with private bathrooms and beds in mixed dorm rooms at Wombats City Hostel Budapest. A locker is provided for each guest. Linens are included, and towels can be requested at the front desk for free. 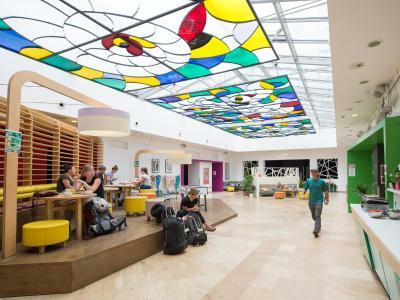 The 24-hour hostel has a common kitchen, a laundry room and there are billiard facilities. Guests can start their day with a buffet breakfast. There are several grocery stores within 800 feet of the property. The Kazincy Utca ruin pub area is 950 feet and Szimpla Kert is just under half a mile away. 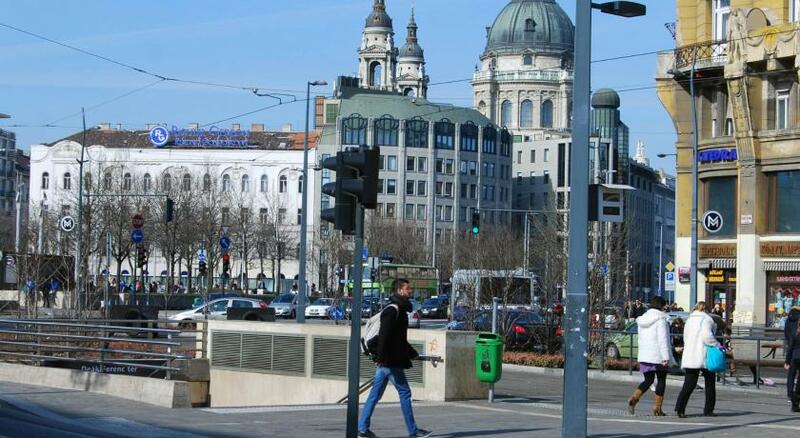 Wombats is 950 feet from St. Stephen's Basilica Square and half a mile from the Chain Bridge. 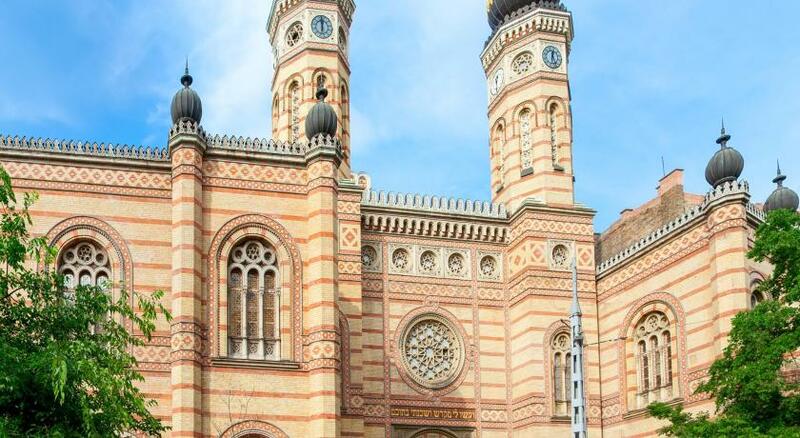 Liszt Ferenc Airport is 12 miles away, and an airport shuttle can be arranged for an additional fee. When would you like to stay at Wombats CITY Hostel Budapest? Bed in a mixed dorm room. The room is air-conditioned. 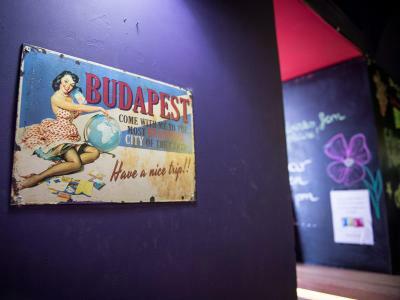 House Rules Wombats CITY Hostel Budapest takes special requests – add in the next step! Wombats CITY Hostel Budapest accepts these cards and reserves the right to temporarily hold an amount prior to arrival. Beds where very rickety and missing a step everytime i went up I thought it would fall over. Staff where helpful, location was good and bathrooms were tidy. The receptionist wasn't friendly. The receptionist is the first person the visitor meets, and he/she should be welcoming and smiling, but my receptionist was cold and unwelcoming. it's just disappointing. Also, the bathroom is old and when you take shower, it takes quite a while for the water to go away that it dampens the whole bathroom. The breakfast doesn’t worth the price, it’s really poor. There is no activities (excluding the pubcrawl), so it’s not that easy to make new friends there. There is a lot of groups (teens and really young people), so if you’re not in this age rate, I suggest you pick other place. the bathroom floor was very dirty and there was no soap in the bathroom. The room was brilliant, as was the kitchen which provided free bread and pasta! The location was very amazing, central to many attractions which made everything walking distance! The staff were more than keen to help with any questions and got us involved in the pub crawl. I will definitely return to Wombats if I come again or visit another city with a wombats hostel! No wifi in the room and downstairs very weak :( !!! Horrible wifi. Horrible smell in the bathroom coming from the drain. This smell was in the whole lobby area for a few days as well. Wooden beds made a deafening sound when climbing up or down. Really nice staff, simple check in, check out- easy bed system and one key card security for room door and personal locker- simple and effective.